When we talk about threats to veterinarians and access to veterinary care, nothing is more dangerous than legislation that authorizes the recovery of non-economic damages. This troublesome idea has been around for decades, but state courts have done the heavy lifting to maintain the status quo in California, Texas, Georgia, Oregon and Vermont, to name a few. But something happened in the first quarter of 2019: Bills introduced in three legislatures would open the door to non-economic damages. We face a realistic threat of expensive tort litigation in the world of pet health care in New York, Nevada and Massachusetts. Let’s set the table for readers who haven’t paid much attention to this topic. 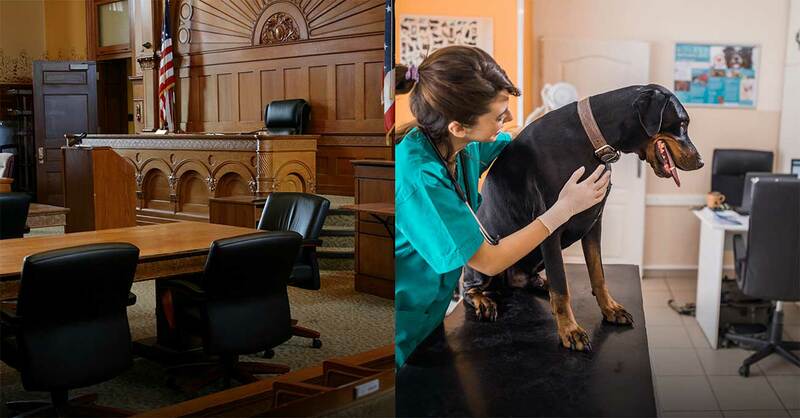 The non-economic damages we worry about are a special type of monetary recovery a jury may award a plaintiff whose cat or dog is injured or killed by the negligent act of a veterinarian, food manufacturer or pharmaceutical company. “Non-economic” means damages for emotional suffering, loss of companionship and the like. “Economic” damages are the cost of medical care, replacement value for a pet and training expenses. Human medicine has battled for decades over this issue as non-economic damage awards in malpractice cases soared into the range of tens to hundreds of millions of dollars. You might think this is not a serious problem since it applies to one case and one mistake. As long as it’s not you or your company in the defendant’s box, you are safe. Well, it doesn’t work that way. Professional liability insurance companies jacked up premiums by an order of magnitude across the human medical profession. Some specialties face annual premiums in excess of $200,000, and it doesn’t stop there. Medical practices were forced to purchase every type of diagnostic or treatment technology to be on the safe side when facing a personal injury lawyer who charges the doctor with not having done enough or failing to have taken every measure possible to treat a patient. This approach changed the nature of medical practices and, to some extent, the doctor-client relationship. Doctors began practicing defensive medicine to protect themselves from non-economic damage lawsuits. Insurance defense lawyers prepared long checklists of procedures and diagnostic tests that insurance carriers expected their doctors to follow. This drove up patient costs, of course, placing even more pressure on a medical system trying to contain expenses. Medical malpractice lawsuits exploded as plaintiff lawyers stood to gain from 33 to 40 percent of the recovery if a jury ruled against the doctor or practice. Veterinary medicine has remained clear of these threats, for the most part, as the law in almost every state provides that pets are property and non-economic damages may not be awarded for loss of or injury to such property. A few states permit non-economic damages but with very low caps. Veterinarians have not been forced to practice defensive medicine or overbuy equipment and technology for fear of damage awards that could threaten the life of a practice. Veterinary liability insurance premiums are extremely low because lawsuit recoveries in most cases would be under $5,000. We don’t see many veterinary malpractice cases, and the same holds true for the pet nutrition and pharmaceutical industry. A fee of one-third of a $4,500 lawsuit is not enough to motivate plaintiff attorneys. Speaking regularly to veterinary students, I’m greeted with skepticism and disbelief when I explain these facts. People think of pets as part of their family, and students often cannot fathom how a court system would treat a dog or cat like a chair. But this is common law going back centuries. I remind students that states allow you to recover damages for injury to or death of a spouse or child. That’s it. Not your best friend, girlfriend, boyfriend, special aunt or uncle, sister or brother, or grandparents. Only your child or spouse. Legislatures recognize that the financial costs are not sustainable if we sanction litigation permitting everyone to sue any time someone close to them is hurt or killed. Pets fall into this same category under the law of personal property. In Nevada and New York, AB165 and NY A.1113/S.3414, respectively, would permit non-economic damages for negligent injury to or death of a pet caused by a veterinarian or other parties. By the time you read this article, I am hopeful our industry network has been successful in defeating the bills. The legislation was filed by serious legislators in each state, and we need to understand that the risks aren’t going away. The same may be said for Massachusetts bill S958, which caps non-economic damages at $25,000 but provides for the recovery of attorney fees if the plaintiff is successful. That is powerful incentive for plaintiff lawyers to bring these actions, which liability insurance companies will notice. And don’t overlook that legislatures might raise caps, so what is $25,000 today could be $100,000 or more in a few years. 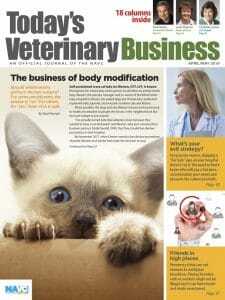 Moving on to another topic, my previous article [“Let’s Get to Work,” February/March 2019] dipped our toes into the waters of what every veterinarian knows to be true: We have a critical shortage of veterinary nurses and need to do something about it. The problem is that working veterinarians and vet techs are busy all day and can’t always be expected to know what to “do about it,” so l want to share information about an ad hoc effort that could lead to a solution. 1. The public — pet owners and clients — do not understand what a vet tech does or what the title means, and that’s never good for a profession. And it’s not good for pet clients. Does “vet tech” mean they work with equipment or have a technical job? Are they experts with technology but not pets? If my dog or cat has a problem, do vet techs know what to do about it the same way human nurses know what to do about my health problems? Odds are that 10 different pet owners have 10 different answers to these questions, and that’s not a good thing. People know what a doctor, a lawyer or a plumber does, but when people don’t know what vet techs do, then they aren’t sure how to work with those people or value their advice. 2. Credentialed vet techs are called either registered, licensed or certified veterinary technicians, or licensed veterinary medical technicians. They all have two things in common, something pet owners tend not to know. A credentialed vet tech has received a degree in veterinary technology from an AVMA-accredited program and passed a board examination, the Veterinary Technician National Exam, that is administered by the American Association of Veterinary State Boards. Impressive, right? Yes, but pet owners and the general public have no idea these achievements stand behind someone who is called a vet tech and works in a veterinary hospital. When a customer or client has no idea what the credentials mean, do you suppose confidence in what a vet tech can do for the pet increases? No. This is the problem that the Veterinary Nurse Initiative is trying to remedy. 3. Practices across America utilize credentialed vet techs at between 35 and 50 percent of the professionals’ trained, certified and board-examined skill levels. Put a different way, it’s like being told every day that you cannot apply half or more of the skills you were trained and tested to use. Imagine Major League Baseball teams telling right-handed pitchers that 50 percent of their pitches must be thrown with the left hand? How’s that for motivation? And when it’s tied to being compensated at a level that only reflects half or less of what you are trained to do, then how would you feel? That might explain why over half of vet techs leave the profession after six years. No wonder we have a shortage of vet techs. What’s the root cause? Vet techs are not understood or valued appropriately, and current compensation rates are not sustainable. Practices underperform, and talented professionals leave the profession, causing constant turnover and morale problems. An ad hoc group led by the University of Florida’s veterinary college dean, Dr. Jim Lloyd, and supported by key practices and schools, is working on sharpening the skill levels taught at the 200-plus schools offering associate degrees in veterinary technology. The group also wants to upgrade the clinical and medical knowledge training at the 21 colleges and universities that offer four-year bachelor’s degrees in veterinary technology. Then, these four-year graduates may be certified through a separate board examination so that veterinarians and veterinary medical boards understand the scope of practice for which these professionals are trained. The value of both degrees, two and four year, would advance, and if veterinary practices took notice, we might begin to address the root cause behind the problems for our veterinary technicians/nurses. More to come. Politics & Policy columnist Mark Cushing is founding partner of the Animal Policy Group, serving a wide range of animal health interests as well as veterinary schools on accreditation matters. He is legislative consultant to the Veterinary Nurse Initiative and is a member of the Today’s Veterinary Business editorial advisory board.